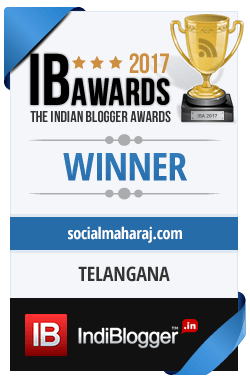 This is yet another “geeky” post from someone who has been writing a lot about Hyderabad and its delicacies for quite sometime now. But then again, I write a post usually when I come across some new, weird, or exciting experience and the one I had right now(rather I’m having one) is while installing Windows 10 Technical Preview – 64bit on my tiny little HP Mini. Most of us are aware that the tech giant has already released a technical preview for all the customers world wide – obviously stating the risks involved while installing it on your systems – but nevertheless, I got my hands on this one too. Before I begin, here’s some background info that got me to this error. First of AL, my HP mini has a GRUB boot loader that allows me to choose my OS: Ubuntu or Windows 7.I created a new partition on my hard disk using a partition manager tool. The moment I restarted the PC, the GRUB gave me the following error – GRUB ERROR – UNKNOWN FILESYSTEM and didn’t agree to even boot further ! Type ls in the command line. This will give you a list of partitions present on your system. It would give a list like (hd0,msdos1), (hd0,msdos2) and so on. The above line will given you unknown filesystem error. But for any one of those it will say something like lost+found along with other folder names. Once you get the above line, note down the partition name. Let’s assume (hd0,msdos5) for example. If all the steps are followed correctly, the system will reboot and you should get your familiar GRUB Bootloader back as before. Previous Create "Table of Contents" in just a few clicks.